Gluten tag! Good day! 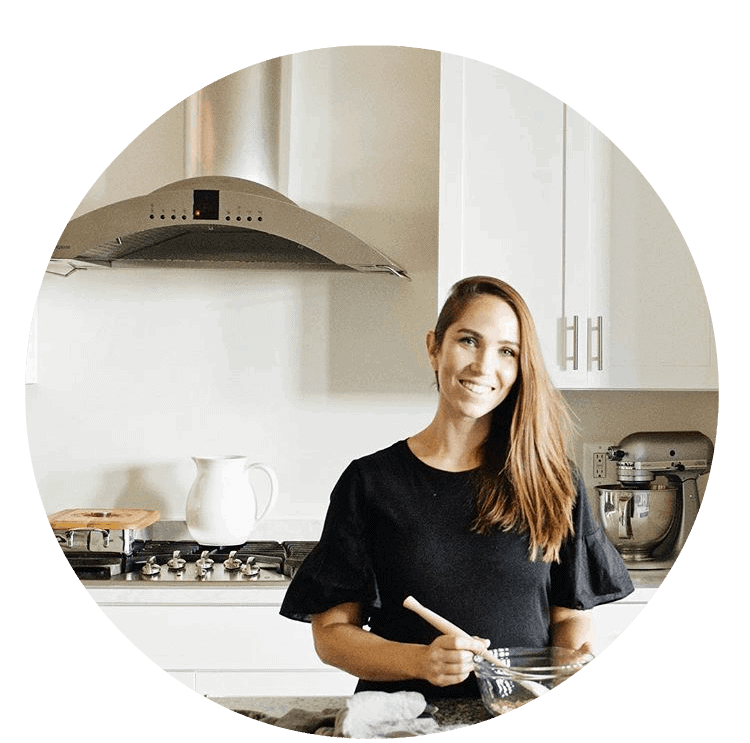 Today I am sharing my so-yummy-I-can’t-believe-these-are-gluten-free-cookies recipe! Add in the words Nutella and peanut butter and it almost sounds too good to be true. 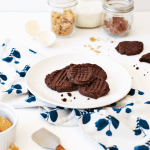 Yes, that spells gluten-free Nutella peanut butter cookies! 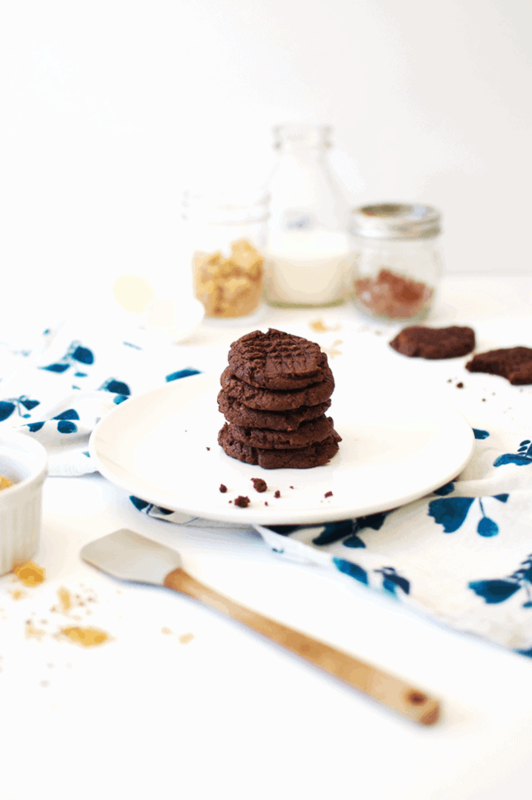 What’s so special about this Nutella peanut butter cookie recipe? They truly are springy, scrumptious cookies. If you don’t believe me, just ask my husband. He is a bit of a cookie snob, so when I sneakily served him one of these cookies with a large glass of milk, he promptly started dunking and commenting about how chewy and delicious they were. “Want to know a little secret?” I replied. “What?” he said with a mouthful of cookie. He stared me down with a look of skepticism, considering my subterfuge to make him eat relatively healthy desserts a joke. “I’m not kidding. And you like them, don’t you?” I said. The rest is history, my friends. Gluten-free baked goods don’t have to be bland, dry and nasty. 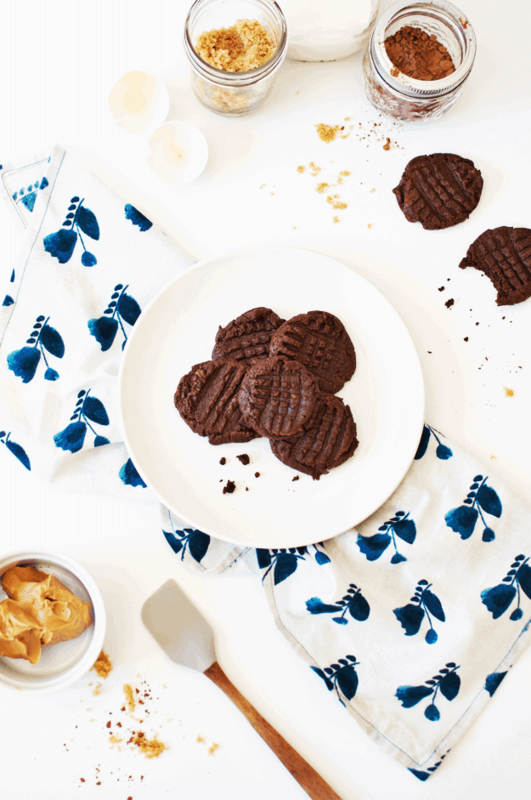 Go forth and bake these cookies, wowing and inspiring the gluten-free naysayers in your life! You can make these dairy free by subbing out the Nutella with another half cup of peanut butter, if you so desire! But then they wouldn’t be Nutella cookies any longer. Simply chocolate peanut butter cookies. Either way, I’ll take it! Grab the recipe below and enjoy! Don't be a gluten for punishment when it comes to gluten-free desserts. These gluten-free Nutella and peanut butter cookies are amazingly chewy and yummy! In a stand mixer, blend together the Nutella, peanut butter, brown sugar, egg and vanilla about 1-2 minutes on medium speed. Slowly add in the cocoa powder and baking soda, mixing for another minute until well-blended. Line a cookie sheet with parchment paper. Scoop 1/2 tablespoon dough balls onto the sheet, about 3 per row. Once all the dough is scooped, use a fork to push down the dough so it is about 1/2 inch thick and make criss cross marks in the cookies. Refrigerate for 1 hour to set. After refrigerating, bake at 350°F for 8-10 minutes or until edges start to firm. Serve warm with a glass of milk and enjoy! Well, I eat nutella and peanut butter off of a spoon so I think I should make this cookie instead! !